These step-by-step instructions are all you need to complete the project. The diagrams below show the process of creating the project using red cards - but the process and products used are identical. 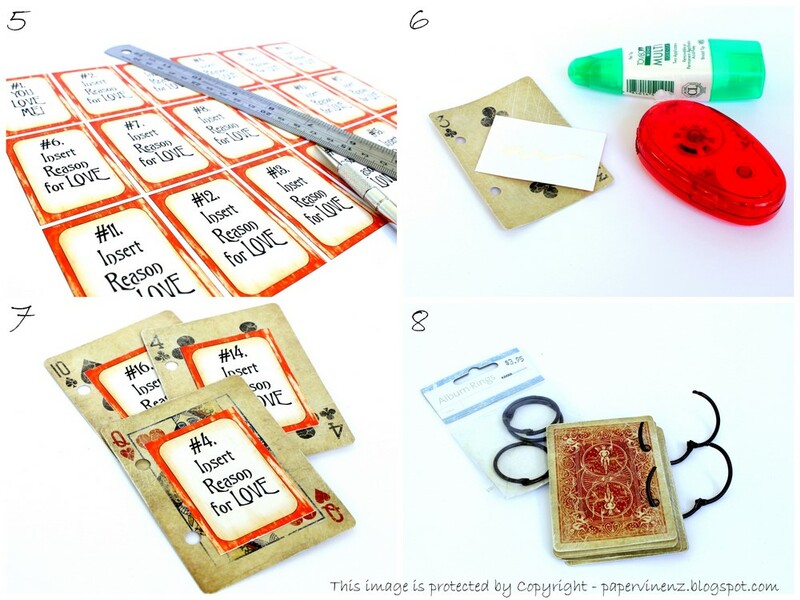 Don't forget - you can see details of all the supplies here and you can see the options for purchasing the template here. Find some playing cards! 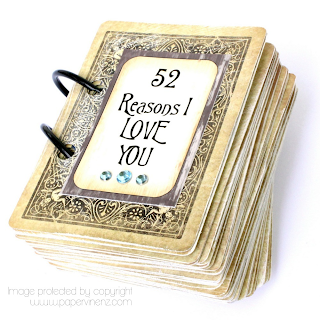 These fabulous cards shown here are great as they have a pre-aged Vintage look. Create all 52 of your reasons cards and let the glue dry. 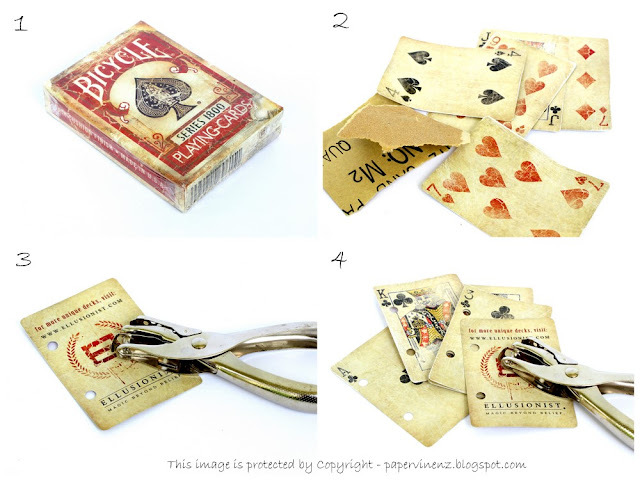 Use another Joker to create the cover card and decorate with Rhinestones. To re-create the reasons exactly as shown you will need to purchase and download the template. You can purchase jpeg files for use in any program or a PowerPoint Presentation with the reasons laid out and placeholder text already in place. For more information - see here. For more information on what is included with the template - see here. If you do not want to purchase the template - no problem! You can create your own cards - to help you out - here are the dimensions for the boxes I have used. If you want to use the same font it is called Trinigan FG and you can download it for FREE from any number of places. Try: dafont, 1001fonts or fonts2u. Please note - you download any and all files at your OWN RISK.